An exciting opportunity meant that she could relocate from her home in England and move to Italy three years ago. "From the perspective of an artist, Italy is perfect for discovering and experiencing the human ingenuity behind artworks, architecture, sculpture and music, from their earliest beginnings centuries ago to their place in our lives today. The landscape alone is truly inspiring and the opportunities to create work 'en plein air' are endless due to the excellent Mediterranean climate". after graduating with an MA in Fine Art from Aberdeen University, Jenny embarked on a 10 year career as a radio presenter and actress in Scotland and London. Going back to her first love of painting in 1993 she completed a BA degree in London at Byam Shaw School of Art. Paula has written and arranged many pieces of music, largely for performance by her students although her songs for soprano and orchestra have been performed by adult musicians in Kent. Latterly she was awarded Advanced Skills Teacher status which enabled her to spend time working on a long term passion - that of developing a creative curriculum. She organised projects and wrote materials for use by other schools, gave talks to staff and won an award from the Science Council for her successful Science/Music project. 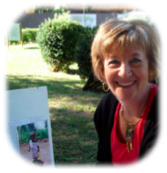 Paula now lives in Tuscany where she continues to teach and to write music. Her musical Pinocchio was recently written for and performed by the students of the International School, Modena. the arts have always held a prominent part in her life and are an established part of her identity. 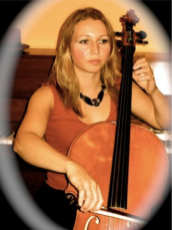 When not teaching Art and Design and Music, she creates artwork, textiles, composes music and plays the 'cello for a variety of different ensembles. Since completing a BA Hons degree in Creative Arts at Bath Spa University, followed by a PGCE in the arts, Jo has been teaching students of all ages and abilities for 13 years. Since then she has been a graphic designer for Virgin Media and a working artist with shows in London, Edinburgh and Italy. Currently she lives and works as a painter in Tuscany. Paula is an experienced teacher, and for nearly 20 years was Director of Music and Performing Arts at a grammar school in Kent where she directed the music and drama for several musicals, including West-Side Story, as well as operettas such as Menotti's Amahl and the Night Visitors and Britten's The Little Sweep. Included in the cost of the week's course: - Accommodation, breakfast and dinner, including apertivi, except for Friday's dinner - Transport when in Italy . NB Guests should arrange their own flights to and from Pisa and arrange their own insurance. was born in Italy but spent her formative years in the USA. After studying art in New York, she taught there for a couple of years before moving back to Italy. 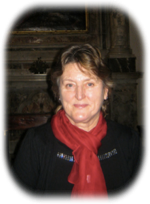 She teaches art and English/Italian locally and has successfully organized arts events in Bagni di Lucca.